Returning customers, depending on their interests, received specific product recommendations; this was displayed using dynamic content lifestyle images which changed to suit the recipient. This worked to strengthen not only the relevance of the content to the customer, but the brand story and their alignment with Sigma Sports. This added advanced touch worked to encourage loyalty amongst shoppers who were given an experience that reflected their tastes, interests and shopping habits. 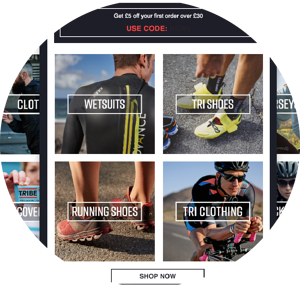 Sigma Sports also further segmented its campaign based on gender to ensure that all email marketing was hyper-personalised; male and female triathlete customers, for example, regardless of similar interest would receive marketing that reflects their specific online needs. This blog will showcase two examples of Sigma Sports’ innovative retention campaigns. To read the brand case study, click here. When you think of broadcast campaigns, the thought is usually of a mass email sent to the majority of your contacts. Sigma Sports wanted to reach out to it customers on a large scale but not lose the single-customer focus of its previous campaigns. 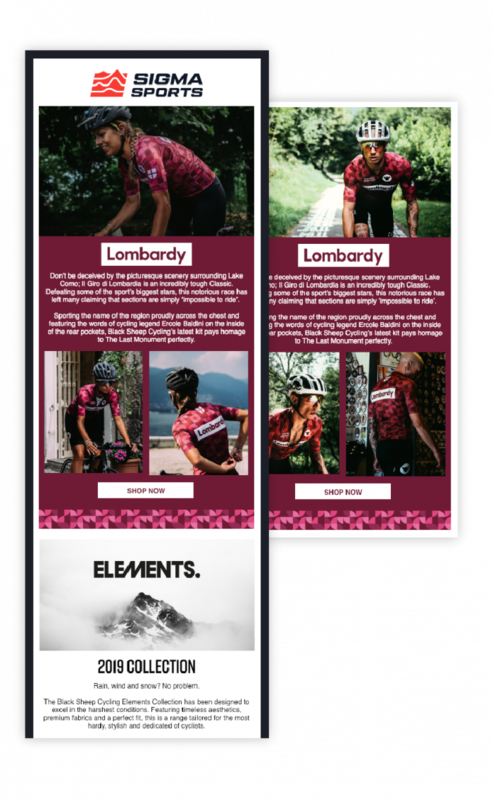 Dynamic content has been used to personalise the newsletters based on gender, with little manual work required from the in-house marketing team. This addition makes the broadcast specific and relevant despite being sent out to various customers. Incentives sent to specific customers groups - with offers that correspond with their spending habits - to encourage purchase and improve the online customer experience. With social media being favoured by over 40% of consumers as their primary form of preferred contact, it’s imperative to diversify the capabilities of your campaign beyond email - and have a tool that can help you be channel agnostic - matching the preferences of your wide range of shoppers. 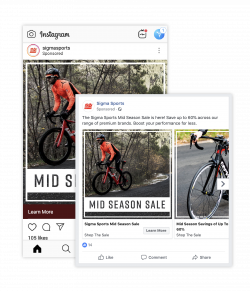 Sigma Sports wanted to engage with returning customers who were not as responsive to emails and took its campaign to social media. For more stats and examples read the Sigma Sports case study here.